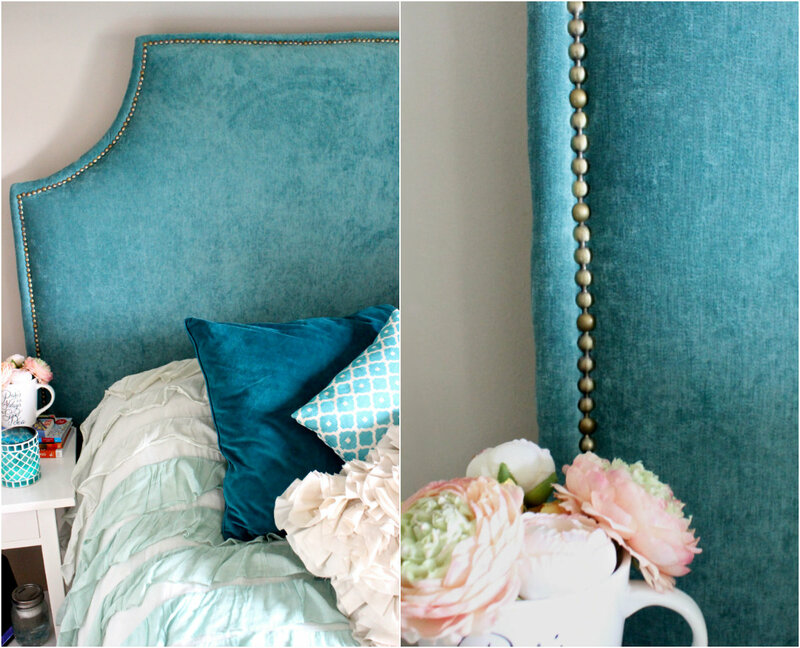 A while back I re-decorated my bedroom, but felt as though it was impossible to find a headboard that I loved enough to justify spending the crazy amount of cash. With the help of the best boyfriend ever, I decided to make a headboard that would be personalized to my liking. Really this project can be completed in a weekend, as long as you already have all the materials. Unfortunately, if you are as picky as me, it will take months to find a fabric with the right texture and colour. However! A few weeks back the project finally came together and I couldn't be more excited! I'm obsessed with the colour and how soft the fabric is. Not to mention that it feels like a big pillow when I prop up against the headboard! My room is finally complete (yay!… for now), and I feel like I'm sleeping in a bed fit for a queen! Instead of confusing you with instructions I'll let you read here, or watch this video, and you can get a solid explanation of the process. There are so many tutorials out there, just google it! And, I know it may seem like a daunting task but the hardest part really is getting all the materials together. I promise! If you have any questions feel free to ask away! And let me know what you think of it!